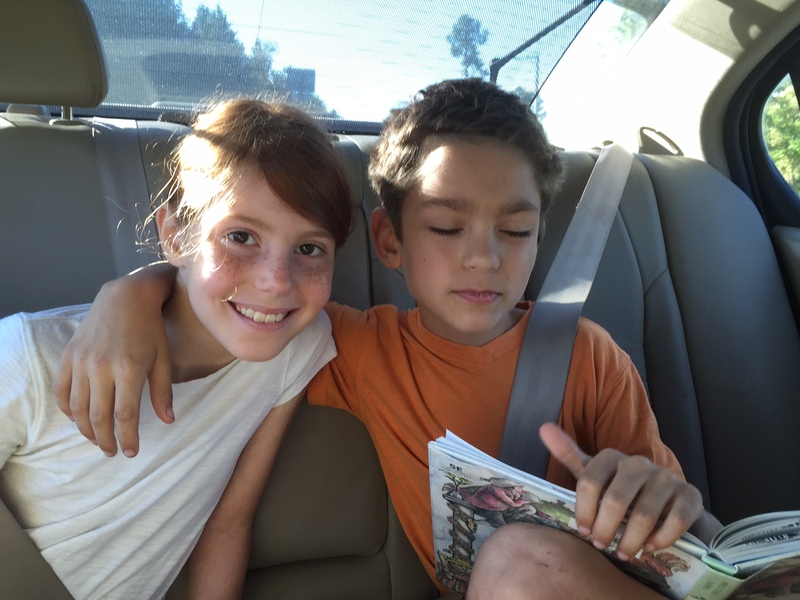 During the one-hour trip in the car, Ian read poems from The Random House Book of Poetry for Children to his cousin Jenna. He didn’t read from Dr. Seuss’ book, though whose wise words weave a web throughout this travelogue. Then, a snapshot at the entrance . . . 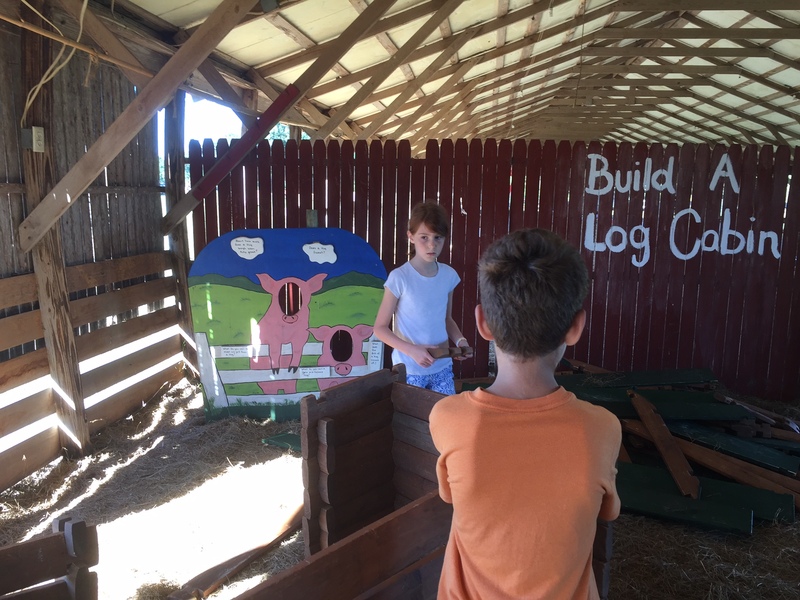 The Conner Barn offers much to keep little hands busy . 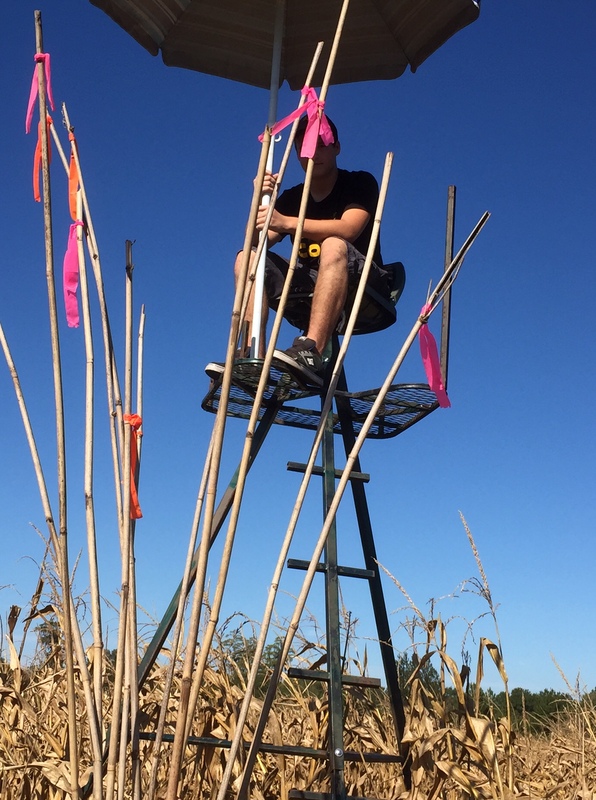 . .
After a hayride to the field, we tackle the maze . . . There were Rules and a Life-Guard at the entrance to make sure we didn’t get hopelessly lost or ejected! The staff were exceptionally friendly. We imagine the rules were a response to previous infractions. Jenna and Ian steered us away from blind alleys, saving us false steps and loss of sanity. No danger of losing our way with these two at the lead! Like Dr. Seuss explains, it’s easy to take missteps and get lost. But we had such good guides, not a chance this would happen to us fortunately! 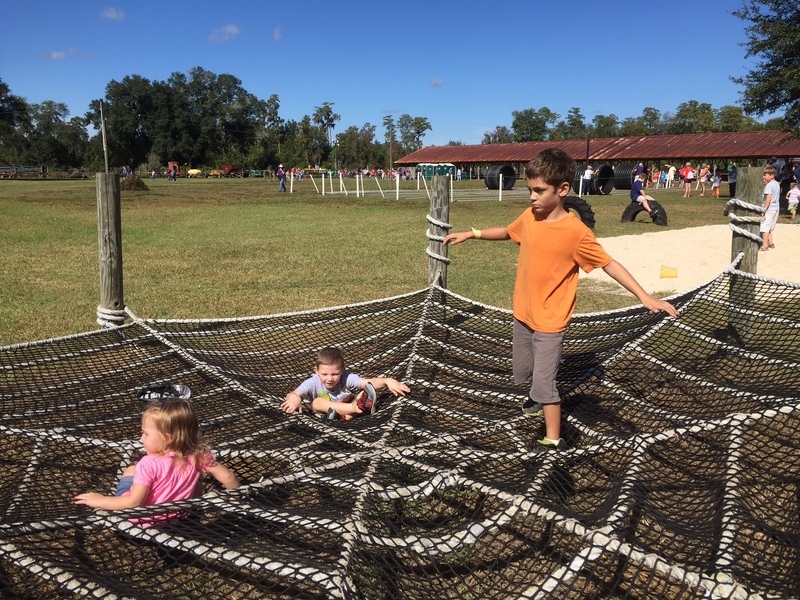 Next, while Jenna and I shopped for pumpkins, Ian bounced around on the spider web . 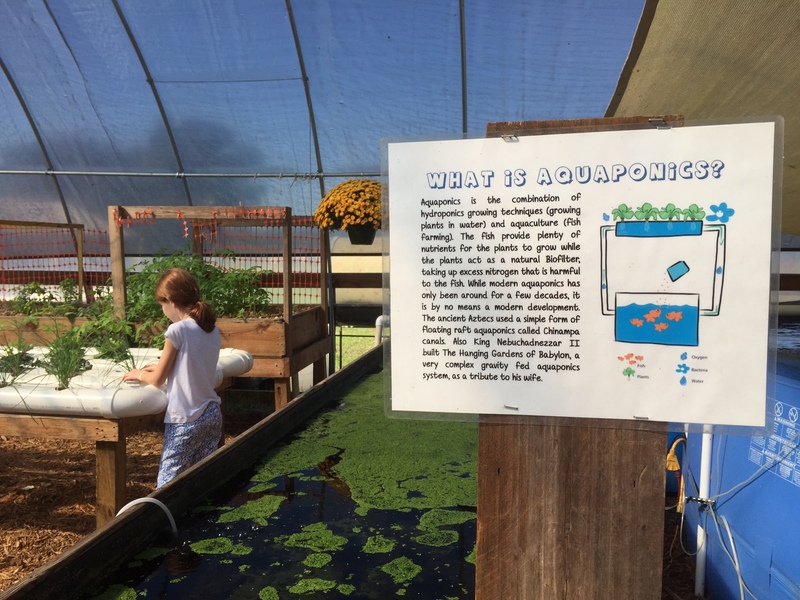 . .
Aquaponics: Growing plants in water and gravel, clay pebbles or lava rock. We learned King Nebuchadnezzar built the Hanging Gardens of Babylon with an aquaponic system as a tribute to his wife. 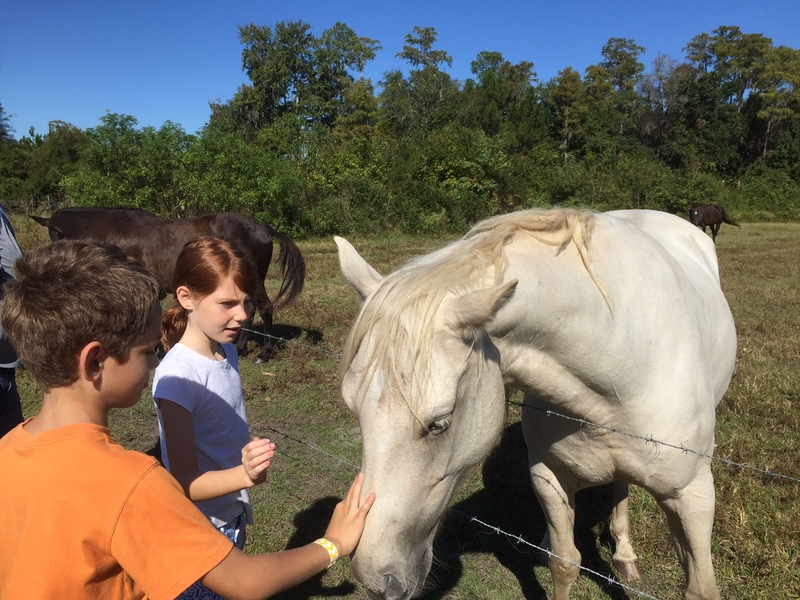 One of their favorite pauses: The horse farm . . .
Dr. Seuss continues . . . I’m sorry to say so / but, sadly, it’s true / that Bang-ups and Hang-ups / happen to you. No, the Hang-up didn’t happen to either Jenna or Ian. It happened to their NaNa. The Cylinder-on-Rollers looked exciting and easy . . . until I got into one and right from the start, felt disoriented and dizzy and not very smart. Still, Jenna and I persisted through to the end – with less than wonderful results. but when I exited the roller I felt much less bold! I had to wonder the truth of the Seuss line “You can steer yourself any direction you choose.” Yet, I suppose these closing lines below from Dr. Seuss still would apply to us. We made it to the end of the course, more or less . . . So . . . get on your way! Have you done something lately to get out of your comfort zone, maybe even made a fool of yourself? Any memories of antics in times past? I wonder if there is something comparable to this in Thailand. Thanks, Carol. You are the first responder today! A Writers Retreat – good for you! I enjoyed a Writers Retreat last February. It really gave me a writing boost, and I know I have a support group too. Thanks for the encouragement, Carol. 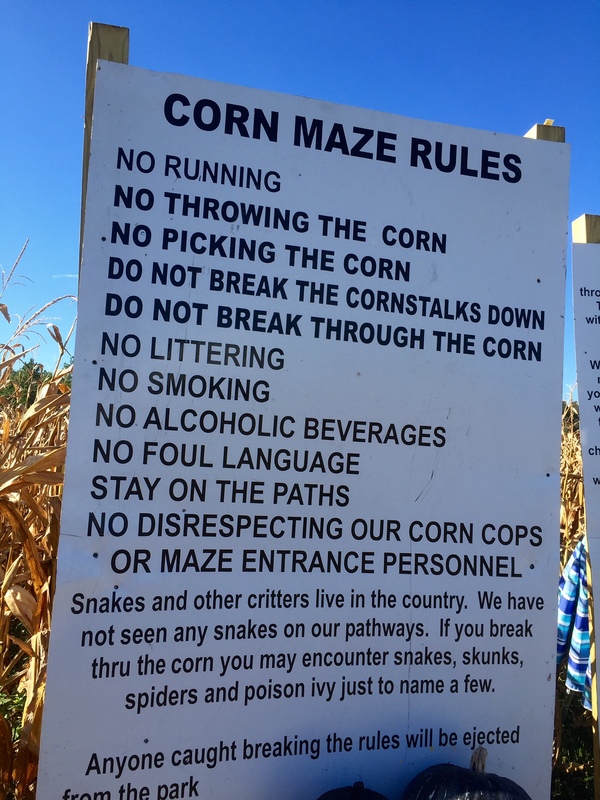 There’s a popular corn maze in our area, but I’ve never been there. I know they have a hayride, too, but I don’t know what else they have. That roll the cylinder looks very difficult, and I’m certain I’d be a dizzy mess! I’m curious what your boot-camp class involves. You push yourself past your comfort zone in other ways too. Encyclopedia-type writing for publication and creating poetic lyrics on your blog shows some of the many ways your stretch yourself. We may wear out, but we certainly won’t rust out! Yes indeed, Marian! We’re going to hang on strong for a long time! The usual Saturday instructor never does things exactly the same way. There is usually some opening “warm up,” which may take 20 minutes and usually involves running, but sometimes might be a pushup or burpee drill. That’s every bit as awful as it sounds. Then lately we’ve been doing stations (2 or 3 people to a station) for a minute each, and then you move to the next thing. The stations are both strength and cardio. Today I’m going to do a spin class, and then a bootcamp class. Then I’ll come home and collapse. Think of all those endorphins you generate! I enjoy most training/exercise because it’s in a group setting, but I could never fall in love with spin which I have tried. I like spin because of the endorphin rush. I don’t run or do much of anything else that gives me that level of cardio. I see the Dr. Seuss book every day on a wicker table when I climb the stairs, a book given to me when I retired from teaching. It seemed to fit here. Thanks for noticing, Anita. Oh my gosh what fun. I love that place. I’d like to go there one day. My daughter Gloria and her husband and six children moved close to us, so I’ve been spending a lot if time with the children and they’ve been coming over a lot. They’re attending our church. It’s wonderful to be with all of them. Yes, the younger children always want me to come out to play with them. I do but after a while I throw myself on the leaves and tell them Wella is an old lady I have to rest. They laugh and say “Come on Wella, you’re not old. I’ll race you. Ugh. I always prayed to have them close now I do, as much as I get tired I look forward to see them. They’re coming over for the evening for dinner and a movie. Yes can’t wait for this evening. So nice to have grandchildren. I can hear the excitement in your voice describing all your antics. 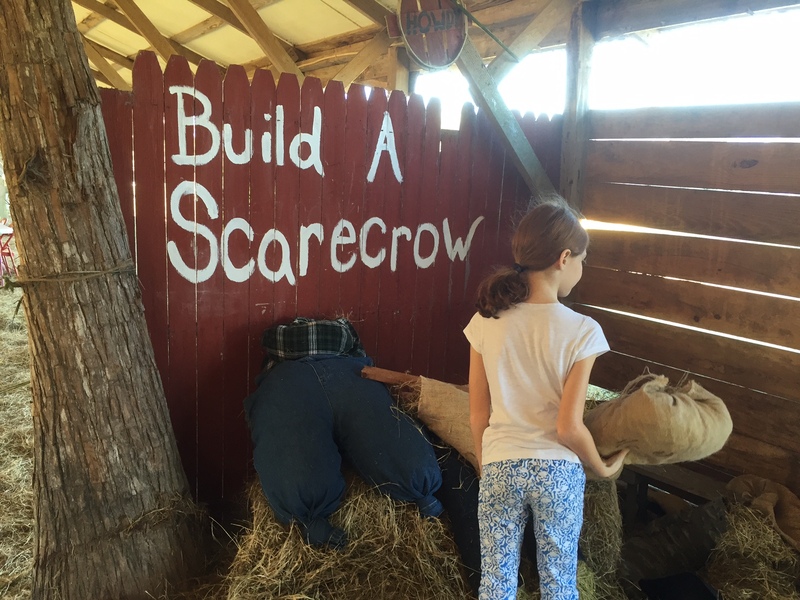 Activities with grand-kids are not for the faint-hearted. When it’s all over, we come home and collapse – ha! Good to see you here today, Gloria. I wish I’d had grandparents like you and Cliff, Marian. You provide so much fun and learning and I imagine it was a magical day! I realize now how much I am mimicking what my Aunt Ruthie did for my sisters and me as children. My mother didn’t drive and besides she was so busy keeping up with her family of six she would hardly have had the time for such extra-curriculars. We were my single Aunt’s “children” too, and as such she opened us up to worlds beyond our sheltered fences. Oh ,Marian, this is priceless. Just hearing your wonderful laughter made my day. Delightful. You are one brave and very fit grandma! Thanks, Kathy. I’m glad you enjoyed the video. Now if I only could have stood up at the end, but that was the reality. Such is life! I remember our laughing together in February; we’ll have to do that again sometime. That sounds like a great day out, with or without kids! Fatima, I would love to see the video of your adventure – if there was one! Climbing on an inflatable “wall” on the sea in Croatia sounds very difficult to me, but at least you tried. I think the trick is to push ourselves sometimes, even if it means we fall short of success. I forgot to mention I had drunk 2 Mojitos before hand: I think that made me brave and foolish in equal measure!!! Let’s hope you were on a harness or had a safety net in place. But since it was an inflatable apparatus on the sea, probably not! It sounds like the combination of bravery and foolishness worked for you – this time. Ha! Marian — As evidenced by the great photographs, a GREAT time was had by all! You were an extremely good sport inside that cylinder-on-rollers; your middle name could be Persistence. Thank you for sharing your adventure! What a good sport you are Nana! I don´t think I would have been much better in the cylinder on rollers. Always fun to do things with the grandkids isn´t it? I love how you used the Dr. Seuss quotes to compliment this post. You too are a children’s literature buff – and amazing author to boot! As you can tell the whole trip was Dr. Seuss-ian with its ups and downs and all arounds! Those grandkids make you feel young again don´t they. Call it chutzpah or stupidity – anyway I gave it a whirl. If I could have just remained upright I would have probably been okay. But curled into a ball, I became helpless. Jenna and I have had several edgy experiences, the one before this the rainbow cake creation. Thanks for reading and commenting in this corner – always appreciated, Debby. A good day had by all …nearly all I’m sure Nana was fine after a cuppa😄 The joys of grandparenthood . As you are probably aware after I have been writing to you for all this time , I tend to be the shy retiring kind and yet somewhere deep inside there is a great big ‘show off ‘ that reveals all at times . The one time that sticks in my memory is the first time I took my 10 year old son ice skating . ‘ I don’t like to show off Cameron but I am natural on ice ‘ I said to my son who looked on with huge eyes trusting my word . What I didn’t tell him was yes I was good in my teens but I’m just scraping the barrel at 40 now ( that was then ) and hadn’t been on the ice for a number of years . Cherry, I don’t see the shy, retiring aspect of your personality in your comments; you seem extrovert-ish and engaging on the page here. I know other readers find your stories entertaining as well; you are quite the story-teller. I imagine If Cameron had a smart-phone back then, he probably would have taken a video. Wouldn’t that be something! Out of my comfort zone? My recent post on the old Dixie flag, because I don’t want to be divisive. But it definitely picked up new readers,.Going to the recent Allume blogging conference (conferences or seminars are not typically out of my comfort zone) brought a push in a good direction to write on topics and issues that matter. Various speakers reminded us that like it or not, we are “influencers.” Hmm. You’ve been that for me, too, in a good direction! It works both ways, Melodie. “As iron sharpens iron,” when we encourage one another in new directions, some of them way out of our comfort zones. About your post this week: I don’t think writing about an inflammatory symbol like the Confederate flag is divisive in the hands of an astute writer. You do show the rationale on both sides of the issue and you inspired many to respond. You definitely stayed true to your “Finding Harmony” blog theme. Incidentally, the comment by Sharon Clymer Landis inspired me to click on her website where I found a lovely reflection on God’s care. Thanks for the compliment, Jenn. Maybe you and Little Guy could try this sometime – ha! 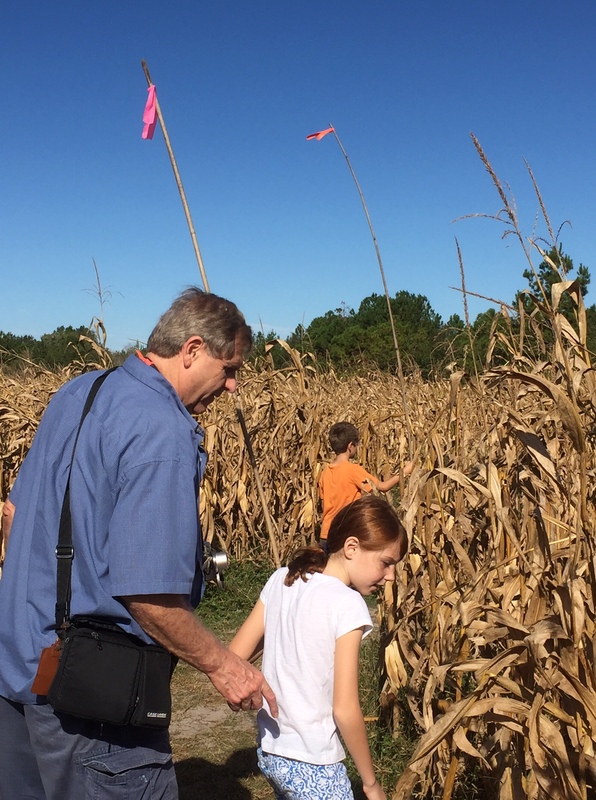 The maize we went to with our grand daughter and youngest grandson was a country enjoyment. 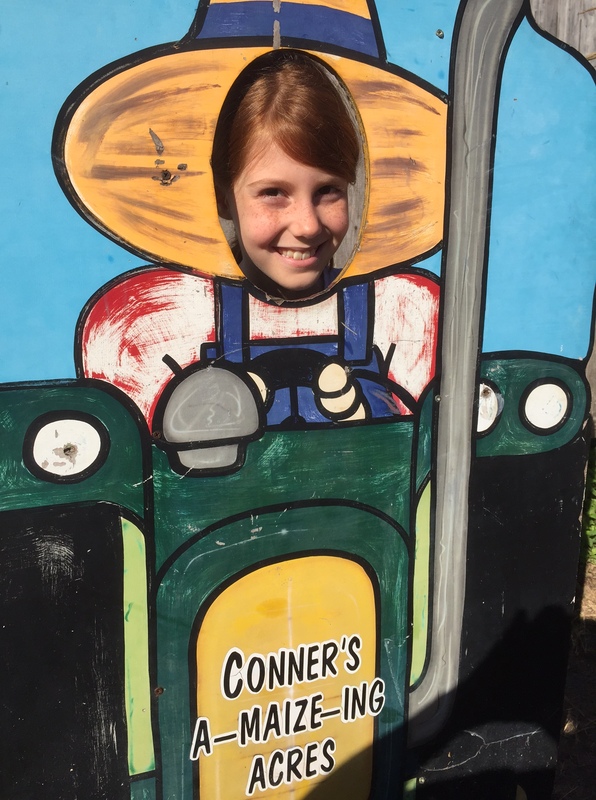 Even though some of the schools in the Jacksonville area go to Conner’s as a field trip, this experience would do so much for other kids who know nothing except perhaps a housing project. 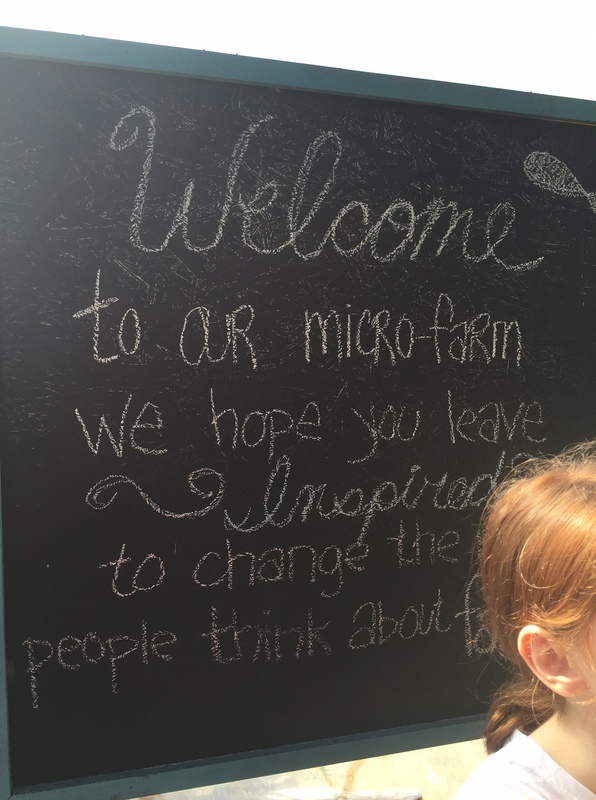 A farm experience would also be great for high schoolers who find that the worst part of their day would be to not get a Twitter, Facebook pict or text from one of their friends. Although I only had limited work experience on a farm for a summer, the memory of that hard work was positive. Maybe there wouldn’t be so much bullying, laziness, and violence in some of the school for those with a similar experience. How about a slogan for some High Schoolers which says “PUT ‘EM TA WORK” and do a google search to find the nearest ranch or farm and sign up as part of their academic experience.. Your recommendation sounds a lot like the tried and true life-changing adventure Outward Bound program, where manual labor and team-work go hand in hand. Thank you, Cliff! You have the right idea and the way you express it has a nice ring to it. Thanks for echoing Seuss and expressing your own impressions too, Susan. Marian, what a delight this is! Your pictures and wonderful writing would make an excellent children’s article (check all the magazines for details, including HIGHLIGHTS FOR CHILDREN for next October); they would also make a terrific picture book. Such a fun idea! Looks like the perfect day out. Yes, it was. And best wishes to you as you assist your family in England this week. And keep looking for those shutter-worthy moments. I so enjoy your photography! That roller looked like hard work. I seem to have spent most of my life outside my comfort zone and being thrown in at the deep end. Right now it’s driving that makes me feel that way but I’m told it will get easier. Trust me, driving will get easier. You are a pro at hopping over comfort zones, from what I have seen on your blog. The problem with the roller was that I felt dizzy from the very beginning, so it was all downhill from there. Ha! 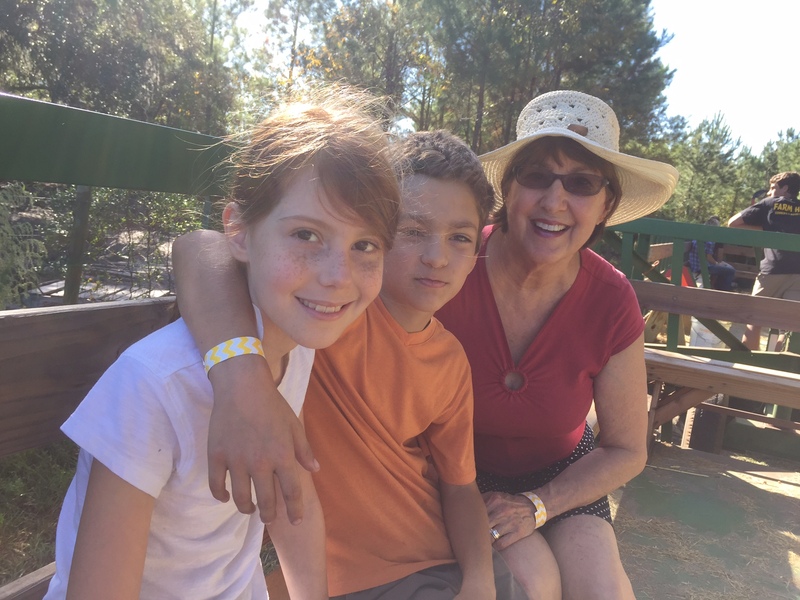 Marian … If every child and adult had the fun, family experiences yours do, what a wonderful world this would be. The roll-y thing looked like fun until I walked into the cylinder. Then there was no backing out. My integrity as a Grandma was at stake here! Ziplining is/was on my bucket list but I wouldn’t consider it over a pack of alligators – that’s danger x 2 – too much! You have such a great time with your grandchildren. I’m happy to come along on the ride. My favorite Seuess lines from this piece: “I’m sorry to say so / but, sadly, it’s true / that Bank-ups and Hang-ups / happen to you.” I’ve been in a mess of laborious income tax-related work. When was the last time I played? Ah, when my wonderful helper brought his two dogs over. Willow and I both played. And I’m happy to have you “along on the ride” too. Reading is much safer than riding roll-y balls. Yup. I copied and pasted. The banks aren’t being audited. Anyway, I won my case, so I won’t complain.